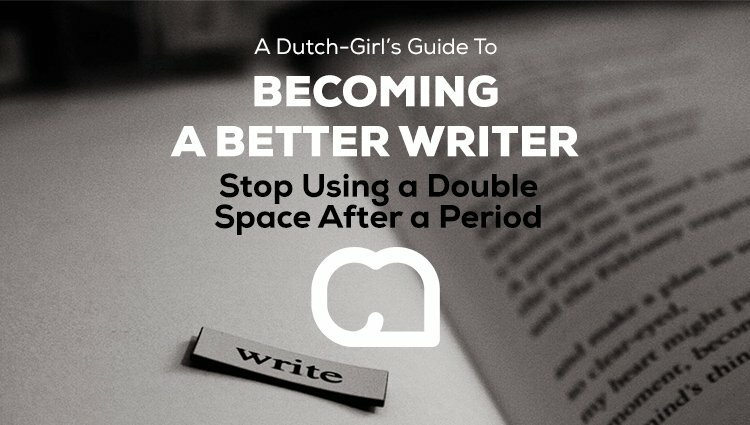 I recently edited a couple of articles for a blog and it struck me again how many people use a double space after a period. It’s not something you encounter occasionally, it’s something I see a lot. When you Google on whether to use single or double spacing after a period (or any kind of punctuation mark really), you’ll find opposing views. Some claim the double spacing is fine, but the majority vehemently combat this practice. And of course both sides firmly stick to their view. No one knows for certain where and when people learned to use a double space after a period. Some claim it was taught that way when using a typewriter, that you always had to use a double space after a period. Others state it had to do with traditional typesetting and the lack of proportional fonts. Whatever its origins, the fact is, that double spacing is often seen as a relic from the past. Recruiters use the practice of double spacing for instance to determine an applicant’s age—anyone doing it must be over 50, or so they reason. But I see young people do it as well and they certainly haven’t learned typing on a typewriter! From the 1950’s, using a single space after a period became the standard in books and printed media. In this Internet day and age, almost all professional digital media use a single space as well (also because HTML ignores double spacing, although there’s an option to do it if you really wanted to). The leading American style manual, The Chicago Manual of Style , prescribes single spacing, as does its British equivalent, New Oxford Style Manual . Publishers require manuscripts with single spacing after punctuation marks, and if you use them, they will edit them out (interesting fact: they have software to do this, showing just how ingrained this double spacing habit is). If you are in the habit of using two spaces, this habit may be so ingrained that it will take you considerable effort to unlearn it. I understand. But I’d suggest you either force yourself, or make a habit of erasing all your double spaces after you’re done writing. I think double spacing makes you look unprofessional at best, and at worst, communicates unwanted associations about age and those infamous old practices that die hard. Do you use double spacing? If so, where did you learn it? In the nineteenth century, which was a dark and inflationary age in typography and type design, many compositors were encouraged to stuff extra spaces between sentences. Generations of twentieth-century typists were then taught to do the same, by hitting the spacebar twice after every period. Your typing as well as your typesetting will benefit from unlearning this quaint Victorian habit. 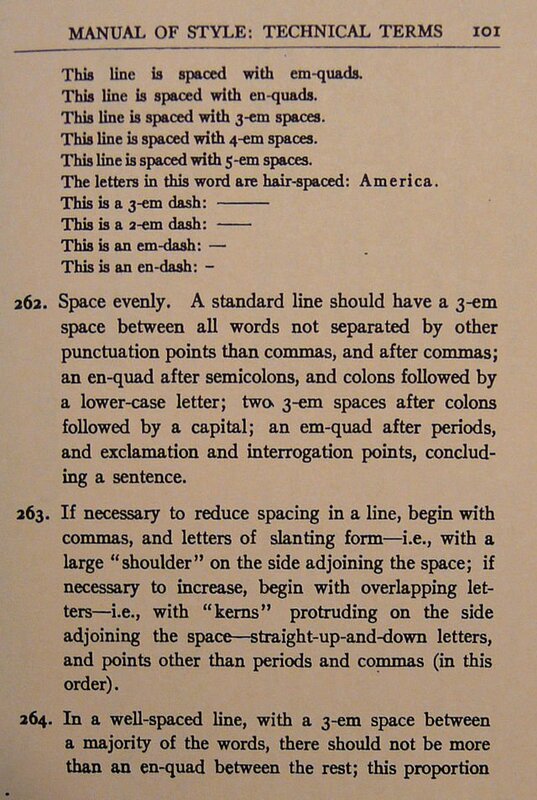 As a general rule, no more than a single space is required after a period, a colon or any other mark of punctuation. Oy, that’s quite counterproductive. I didn’t know they still taught it…Hmm, I’d better check with my son’s school then! Thank you! I know that I was taught in grade school and by my father that you always needed 2 spaces after a period. Oops I just did it right there and then corrected myself. I feel so free and updated now that I don’t have to waste time hitting the space bar twice! I made the mistake of posting another article warning people to make this change if they hadn’t already. I was taken aback by the strong response. Hard to believe how many people still insist that two spaces is correct! Some were almost angry. I wondered if I must have been cloistered in the design world too long to notice the habit still lingered. It’s my understanding that the 2 space rule had a lot of validity when the majority of typing was done on typewriters. Because of how they were calibrated/aligned, it was possible to have the start of a sentence come in too close to the end of the last one — the added space fed the paper over enough that the overlap could be avoided. Anecdotal evidence to support this theory: recently a friend of mine posted something on Facebook that got a lot of replies, about half of which had double spaces between sentences. There was an interesting trend: everyone who used double spaces was at least 40 (and most were 55+), and thus they probably either learned on a typewriter or were taught by someone who learned on a typewriter. Over time, I think it mutated from “use extra spacing to avoid overlap on typewriters” to “just use 2 spaces because it’s the rule”. I love that Facebook anecdote, I’ve seen this so many times! 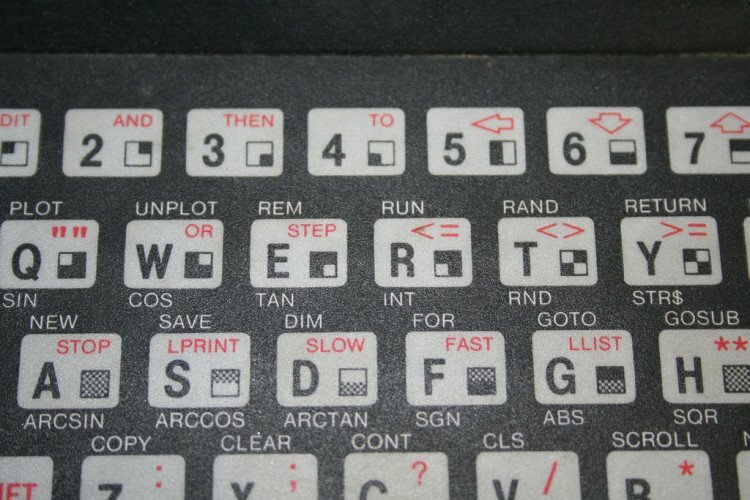 It was ingrained into my brain learning to type in highschool back in 1990. That puts me well below the supposed over 50 category recruiters are using. While I’m trying to break myself of the habit as of this year, it has been a difficult road. It’s also interesting to note that when I was being taught the habit, it was considered to be the professional way of typing and a single space after a period was unprofessional looking.